Why would I buy online rather than the high street? It has often been the case in the past that to get product information a consumer would go to a local store to learn about a product before purchasing online in order to save money and get the convenience of home delivery. However as the internet changes so does the way we shop. Nowadays there is often more information on the internet about a product than on the products own packaging. It is also becoming more usual in larger retail outlets or chains that the shop assistants have little or no product knowledge and may even be part time or weekend staff. 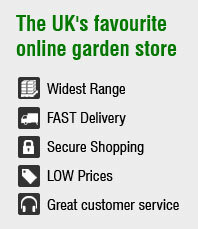 Now on Totalgardens.co.uk you can read in depth information about products including reviews from our previous customers. 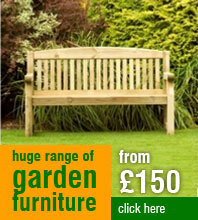 You can also be assured that any product sold on Totalgardens.co.uk has an extremely low fault rate. If a product did show a high fault rate then it would become costly for us to retrieve these items from our customers and send out replacements. It sounds fairly obvious but this isn't the case in a store where it is your responsibility to take the product back to the store and collect the replacement. This is why we only stock high quality branded products and you won't find the lower quality imported versions. How much will it cost for delivery of my order? The delivery prices are clearly displayed on each product. For more detail on our shipping practices, please see the shipping page. In many cases our deliveries are executed on a next day basis. For more detail on our shipping practices, please see the shipping page. Will I receive a VAT receipt for my order? Yes, a VAT receipt will be emailed to you once your order is despatched. We advise that you print it off and keep for your records. Orders can be cancelled by contacting us through the website stating the order reference. 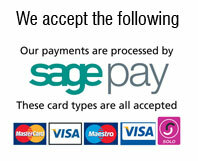 Credit / Debit cards will be refunded within 5 working days. If an order has been despatched and the cancellation is due to the item no longer being required then it will be your responsibility to return the item or to cover the cost of the courier returning the item to us. In the instance of a faulty product we will arrange to exchange the item for a replacement of the same model. We may however need to determine the cause of the fault and the exchange would depend on the nature of the item / fault and the conditions of the manufacturer's warranty. Additionally, with regards to faulty products we will adhere to the warranty provided by the manufacturer and work within their process to fix or exchange the products under their warranty terms and conditions. The total liability of the sale of contract is limited to the monies paid by the buyer and we cannot be held liable for indirect, consequential or special loss. If you are not satisfied with a purchase from Totalgardens.co.uk, you may return any products back to us within 7 working days of receipt providing that the product is in a resellable condition. This means that the product is not damaged, has not been used in any way and that the product is complete with the original pristine condition packing. These terms and conditions do not affect your statutory rights as a customer. How does your Price Match system work? If you see an identical product on sale at a competitor at a cheap price, we promise to match or even beat their price where possible. Simply contact us with full details of the product and the competitors website. We'll then check the price and ensure that it is financially viable for us match or beat their price. PLEASE NOTE: There will be some rare occasions where we will not be able to match a competitors price - e.g. a pricing mistake, etc. Our team are ready to answer your enquiries from 8.30am – 5.00pm (Monday - Friday). If you contact us outside of these times, we will respond as soon as possible. Are you VAT registered and do you have a company number?